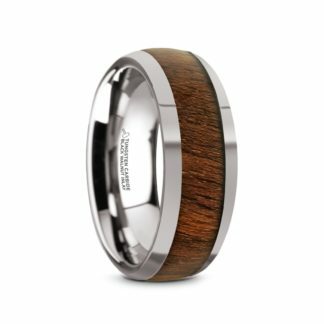 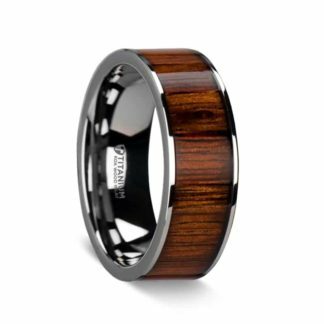 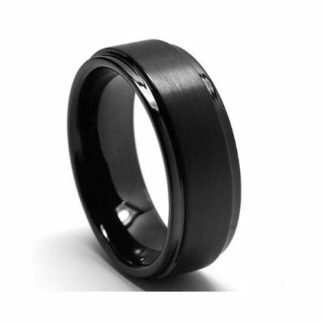 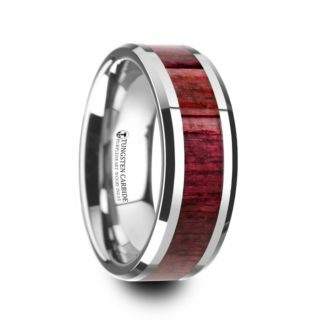 This classic cut 8 mm design in Black Tungsten Carbide with stepped & beveled edges can be purchased separately or used as a “sizing ring” to determine your exact size. 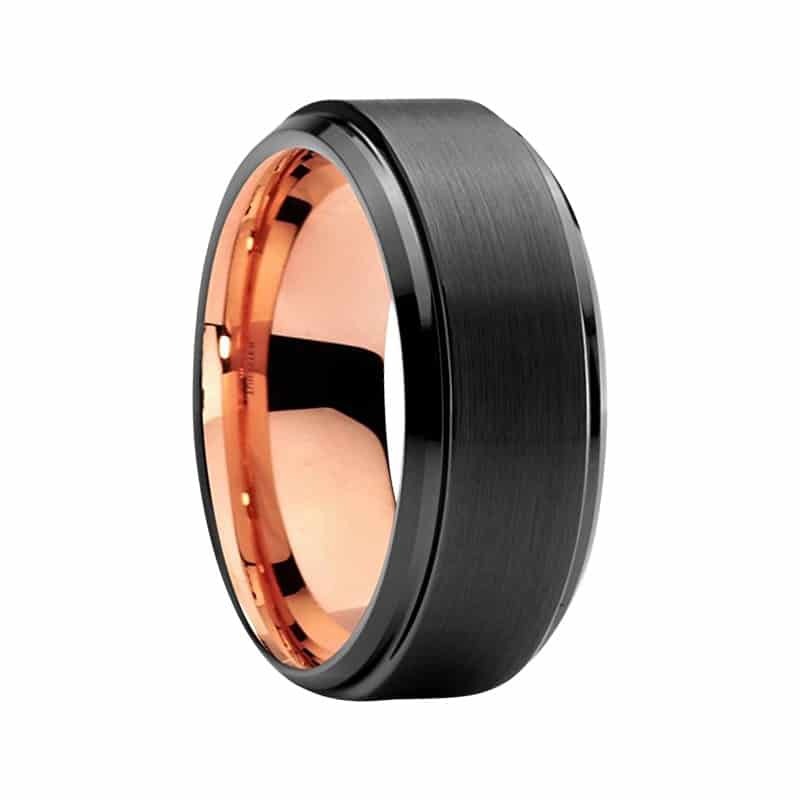 This exact model is also available in black tungsten with rose gold plating (also pictured). 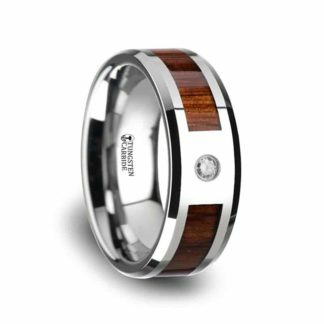 Comfort Fit.